Once again a study found that a high fiber diet feeds beneficial gut microbes and causes changes in the gut microbe community (the microbiome). 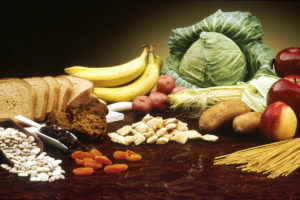 What's new in this study is that eating the high fiber diet had health benefits for people with type 2 diabetes - that it lowered their blood sugar levels (better blood glucose control), resulted in greater weight loss, and better lipid levels. And that when these gut microbes were transplanted into mice - they had similar health effects (better regulation of blood sugar). Which showed it was the microbes that caused the beneficial effects. A diet high in fiber can reshape the gut microbiome, helping people with type 2 diabetes stay healthy. A study published yesterday (March 8) in Science found that when patients with the condition ate a high-fiber diet, they had an abundance of microbial species that helped to reduce blood sugar and regulate weight compared with cohorts who ate a less fiber-rich diet. Next article:Are Some Essential Oils Endocrine Disruptors?